You're a lawyer, not an author, and I get that. Not everyone who writes books is a writer, and yet they're still published authors. The only thing you really need to publish a book is a topic and the ability to talk about it. My friend Tom Costello is the publisher and editor at Word Association. They're a one-stop shop for editing, proofing, consulting, ghostwriting, formatting, design, credentials, printing, marketing, and distribution of your legal books. He's given me some fantastic advice on how to get your book written and published with the least amount of hassle. How impressive would it be to say, "Yes, I've written a book on the subject" when someone asks about your practice area? 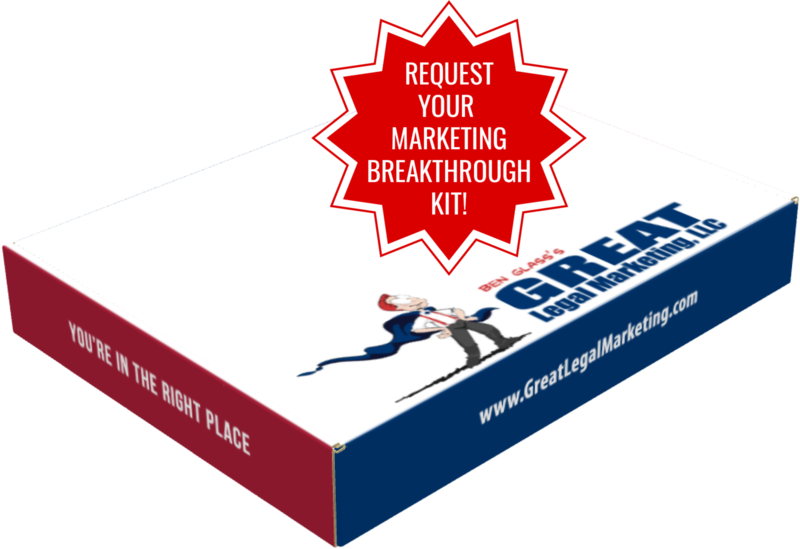 A big part of legal marketing is establishing yourself as the guru of knowledge in your niche of the legal world. Having a book on your topic in your name is proof that you know what you're talking about. Building your credibility and respect in the eyes of your clients is an important part of your legal marketing. Legal books show that you are confident in your knowledge and were willing to take the time to commit it to words so that others can benefit from it as well. While great novels can take years to write and hundreds of pages to finish, your legal book can be much simpler. Most of these books are less than 100 pages for two reasons: there's only so much you can say on some topics, and most clients don't have time to devote to reading hundreds of pages of research. Who can sue for a motorcycle accident resulting in death? If I wasn't wearing a helmet, do I still have a case? What do I do if the driver who hit me was uninsured? How do I prove the other driver was at fault for my accident? If you're frequently hearing these questions from clients, chances are they want answers when they're searching for a personal injury attorney. You want your legal books to address these questions, and also show that you're the lawyer they're looking for to help them with their claim. The fact that you can demonstrate your vast knowledge of their issues is a great legal marketing tactic.